Exciting news for Ellen! 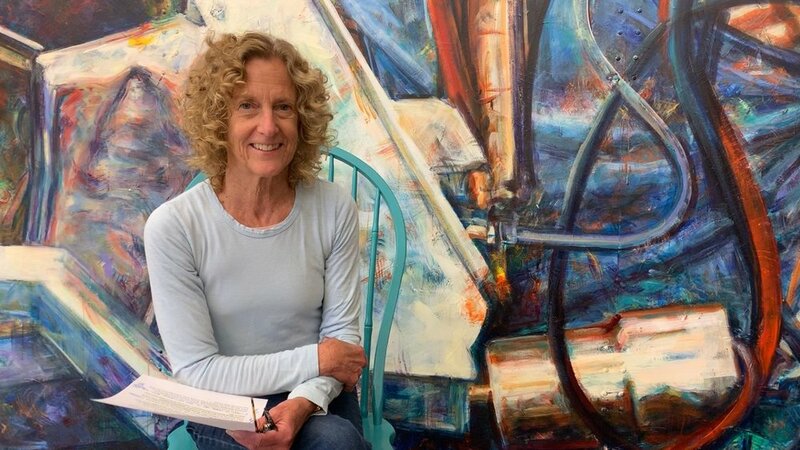 AMP’s founder to receive education award. Click here to read about it. Thanks to Eversource CT for their grant in support of AMP's summer enrichment programs! They see the value of giving children and teens the opportunity to spend time outdoors—learning, designing, inventing, building, growing, and more. AMP continues to be committed to providing young people with learning opportunities that cultivate the skills and self-reliance needed for the next generation! Our "Whole School Mural" project finished up at the Renzulli Academy in Hartford, and the pictures of what they accomplished are incredible! Led by AMP teaching artist, Kathy Reddy, 130 students in 4th-8th grade created three 4' x 8' plywood panels depicting their school community, complete with the Hartford skyline, school buildings, self-portraits, and even their night janitor. Lots to ❤️ about this! AMP's "Ultimate Collaboration" with ASAP! and the Warner Theatre culminated in a performance by Pilobolus, one of the most popular and unusual dance companies in the world, on Saturday. The multi-generational community dance project was also featured in the performance. Introducing Julianne, our education intern from Northwestern Connecticut Community College. 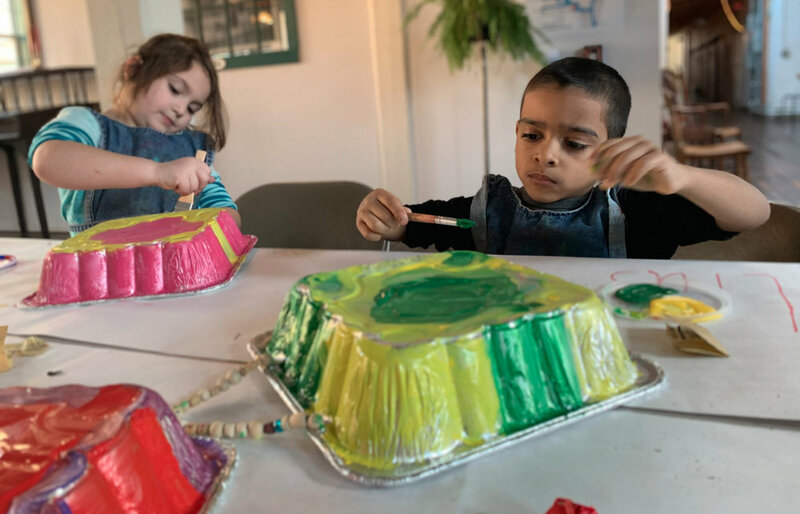 After graduation, she plans to transfer to Central Connecticut State University to study elementary education with the goal of becoming an elementary school teacher. Before she interned with AMP, she was a math tutor for middle school children. Our programs director had this to say about Julianne: "After observing the warmth and enthusiasm that Julianne brings to the room when she is engaging with the kids in the CHAMPS after-school enrichment program, I couldn't be more thrilled to have her join AMP as an education intern for the spring and summer! She is a natural educator." 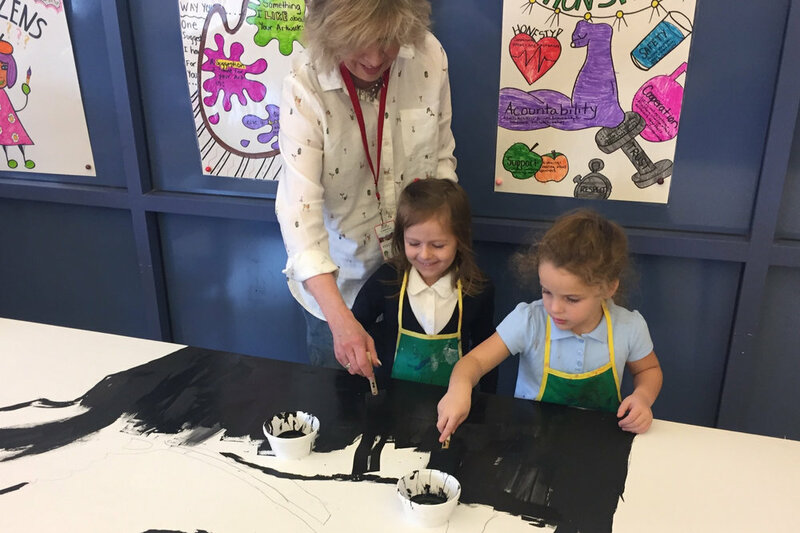 Thursday kicked off our in-school residency with the Renzulli Academy in Hartford. And what a day it was! Our teaching artists worked with students in 6th-8th grade to create a whole-school mural. Eighth-graders started out painting the ombre sky, then projected images of the Hartford skyline that the seventh-graders painted black. Others students created self portraits. More to come next week! 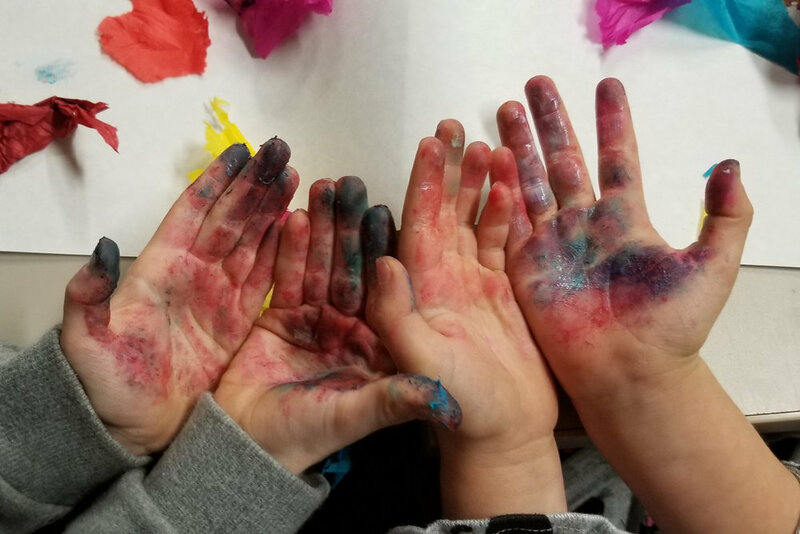 Our guest artist, Jessica Jane Russell from Art Room Atelier, led the projects for our CHAMPS after-school program on Thursday. She'll also be leading a week of our summer programs in August! It's getting really exciting around here because it's MOVING DAY! 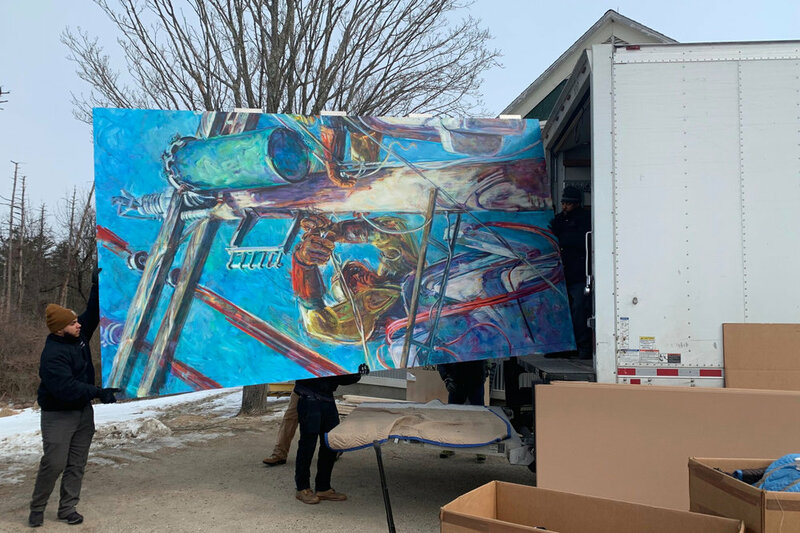 Three sections of the mural are making their way out of Ellen's studio and will soon be heading to the mill for the next phase of installations. 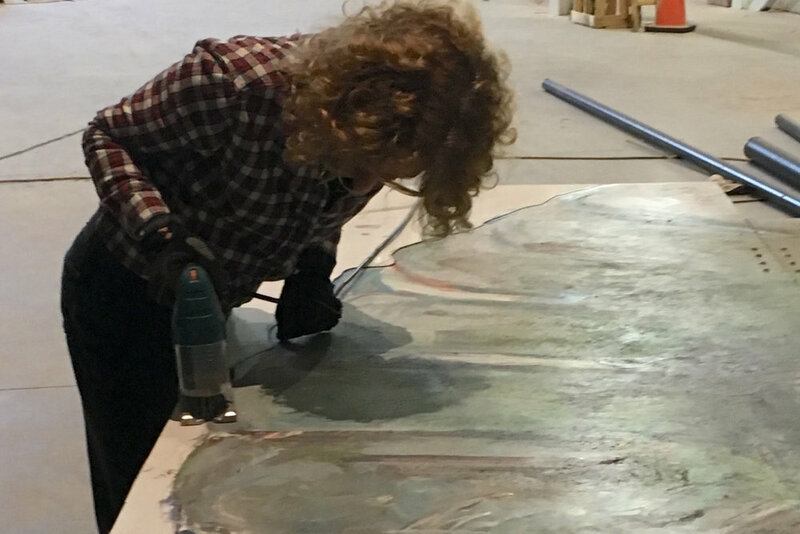 Ellen and crew are working through the plans on the steel/aluminum plates, U bolts, and scaffolding platform on wheels that will be needed to get the rest of the mural up--and how to get the remaining sections to the mill in Winsted. So much happening in the weeks ahead. Our third- and fourth-graders in the CHAMPS after-school program were very busy in December! Lots of new and exciting projects coming up this month. 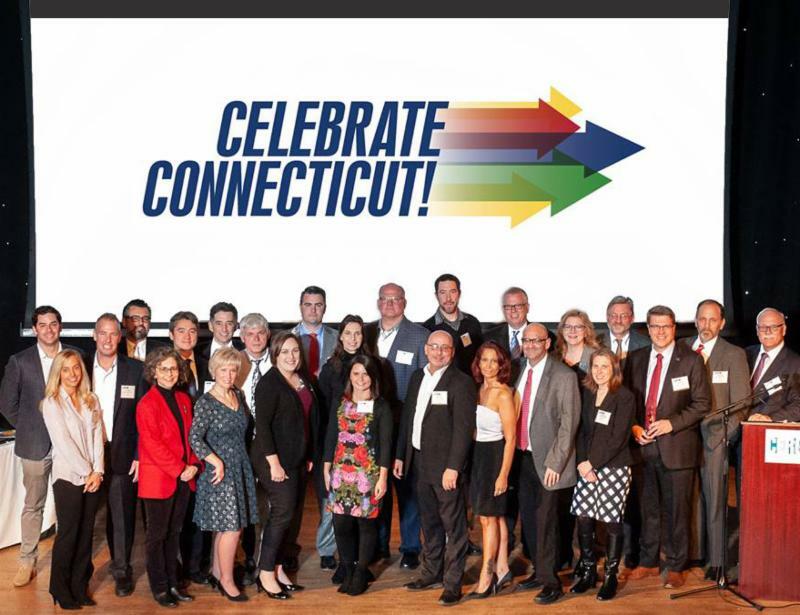 The Connecticut Economic Resource Center - CERC recently held their annual Celebrate CT! event, which honored economic development successes throughout the state, including naming AMP (and 17 other organizations) a top economic development leader for our contribution to the state's economy! Fran, our plaster man, finishing up as fast as he can. Almost done with Phase 1! Ellen finished cutting the Stitch section along the wheel, eliminating the white aluminum areas. Next up: attaching Steve on the right side of Stitch, finishing the tiles on Stitch's plaid shirt, and then hanging the section up. Getting closer! Stitch and Steve, Native American mechanics from New Mexico, are in the building and the first to be attached to the armature in the weeks ahead. First job is to affix the 50 or so ceramic tiles—created by students at the Taos Day School in 2003—that make up Stitch’s plaid shirt. Check out the New Mexico Project. Our “Whole School Mural” project with the Rotella Interdistrict Magnet School in Waterbury has wrapped, and what an amazing experience with those 615 students! Thanks to the Connecticut Community Foundation for making this possible. It’s happening! The first piece of the mural is about to be installed. Kids from our CHAMPS after-school enrichment program had a studio visit with a quilter at Whiting Mills last week. We’re so lucky to be where we are and to be able to offer these amazing learning experiences. Many more to come! 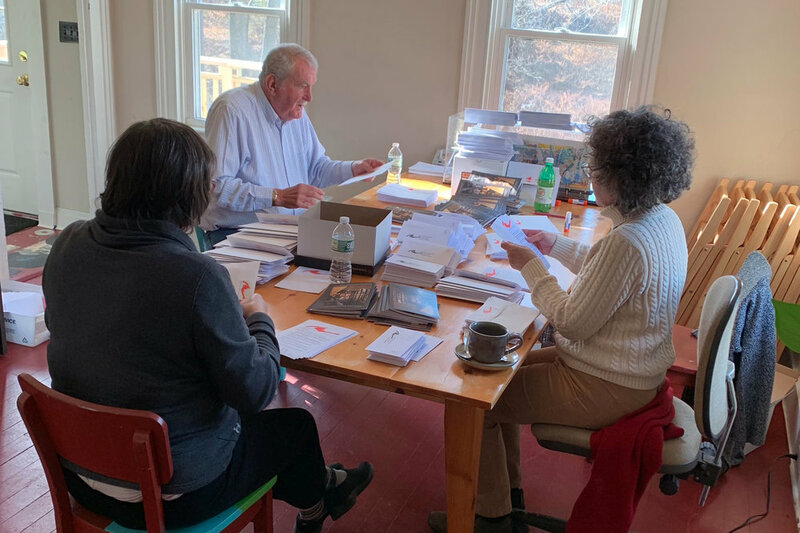 It’s that time of year when mailboxes, inboxes, and social media feeds fill up with donation requests. Of course we’re adding to that. From the mill renovation to education programs for the next generation of workers, every dollar truly is making an impact. Click here to donate now. 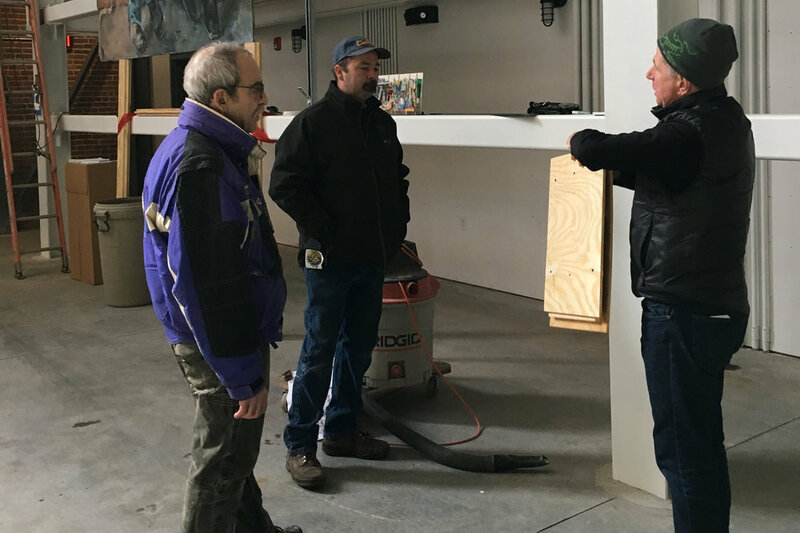 Lots of excitement at the mill this week, with Doug, Paul, and Austin arriving from Michigan to install the wood planking on the first level platform and the ramp that goes behind the mural. 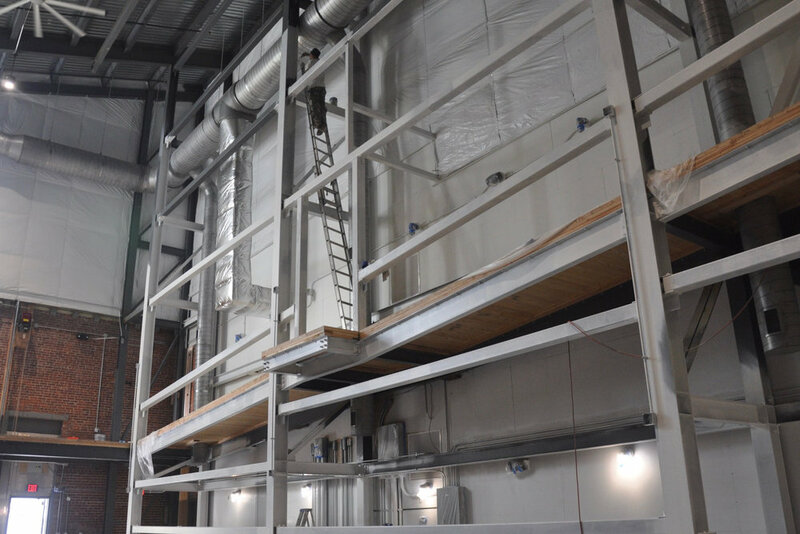 These guys have now joined the club of subs who have had to work around the HVAC ducts and giant beams, all three showing great skill and the requisite sense of humor necessary on this project. Just incredible to get a chance to walk up on this level and admire the terrific craftsmanship these guys have brought to the job.